2. CHAINSAW CARVINGS - by MICHELE: Some signs - carved by my wife Michele who is in the photo! 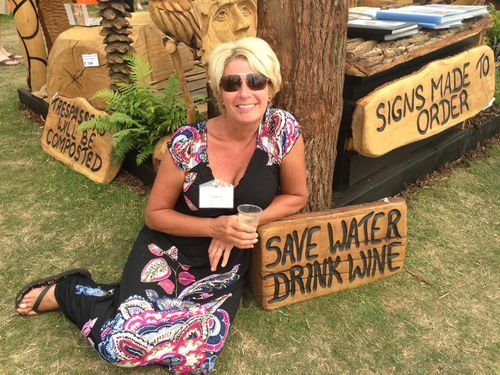 Some signs - carved by my wife Michele who is in the photo!